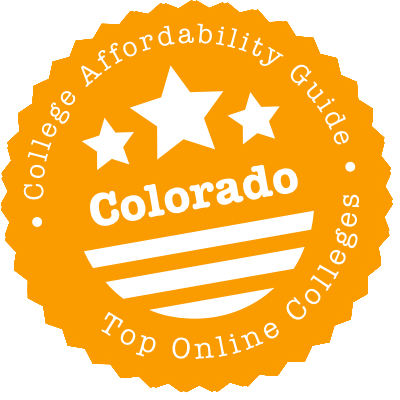 Scroll down to see the top not-for-profit colleges and universities in Colorado offering online degree programs. Colorado State University-Global Campus was the first independent completely online state university in the U.S. It offers about a dozen bachelor's degree-completion programs and a dozen master's programs, with programs spanning subjects such as business, education, IT, and healthcare administration. Students can customize any degree with a specialization. Graduate and undergraduate certificate programs are available, too. Classes are delivered in an eight-week format, and courses start every month, all year long, so students can take classes when it fits into their life. The university also promises that every course is offered every term. CSU makes another promise, too - tuition rates will remain steady for as long as the student is in a degree program. Front Range Community College offers more than 350 online classes in the average semester, and more than one-third of students take at least one online class. Students who want or need all their classes online can choose from 25 degrees and 13 certificates that are available 100 percent online. Another 15 programs are available partially online. Most of the online degrees are Associate in Art or Associate in Science degrees for students who plan to finish the first two years of college at FRCC, then transfer. Majors available include business, biology, and education. The certificate programs are designed for students who want job skills they can use now, such as web developer or accounting. The College of Computer & Information Sciences at Regis University currently offers 5 Bachelor of Science, 8 Master of Science, and 15 graduate certificate programs online. The College of Professional Studies offers accelerated online degree programs that follow five- or eight-week formats with six start dates throughout the year. Students can earn undergraduate (BS or BA) and graduate degrees (MS or MA) in a wide range of disciplines that include accounting, business, communication, social science, nonprofit management, and organizational leadership. The Master of Business Administration (MBA) program has seven areas of specialization: emerging markets, finance and accounting, health industry leadership, marketing, operations management, organizational performance management, and strategic management. At the current time, CPS offers 15 undergraduate and graduate certificate programs in fields such as autism education, homeland security, and strategic human resource integration. The School of Physical Therapy at the Reuckert-Hartman College for Health Professions, offers doctoral certificates in manual therapy and in optimal aging. RN to BSN and RN to MSN programs are available from the School of Nursing, in addition to an MS in Nursing - Leadership in Health Care Systems degree. Online students (pursuing qualified degree programs) are considered for the same financial aid opportunities as on-campus students. Colorado State University in Fort Collins offers Bachelor of Arts (BA) degrees in the fields of anthropology, economics, and interdisciplinary liberal arts. Bachelor of Science (BS) programs are available in agricultural business, fire and emergency services administration, human development and family studies, and psychology. Students accepted to the human development and family studies program are required to choose an area of concentration from the following: early childhood, leadership and entrepreneurship, pre-health, and prevention and intervention sciences. Some graduate programs have an on-campus instruction component, including degrees in arts leadership and music (conducting, Kodaly music education, and music therapy), higher education leadership, social work, and teacher education. At the current time, there are 21 master's level programs that are available completely online in disciplines that include the following: business administration (M.B.A.), computer information systems (M.C.I.S. ), industrial organizational psychology (M.A.I.O.P. ), engineering (M.E. ), tourism management (M.T.M,), and natural resource stewardship (M.N.R.S.). Doctor of Philosophy (Ph.D.) degrees are offered in higher education leadership and in systems engineering. Military personnel (and their spouses) admitted to a College of Business or College of Engineering online program may be entitled to tuition discounts (10 percent for the MBA or CIS program, 15 percent for the M.E. program). Colorado Christian University was named one of the Top 30 Best Four-Year Colleges for Adult Learners by Washington Monthly magazine, and many of the college's degree programs geared specifically to adult learners are available in a 100 percent online format. Online students can select from 11 associate degrees, more than 20 bachelor's degrees, and master's programs in business, education, and nursing that have a variety of emphasis areas. Many certificate and licensure programs are also available online. Colorado Christian's online classes are delivered in accelerated sessions of five to 10 weeks in length. Classes are asynchronous, so students can log on when it suits their schedule, and students can view courses over a mobile app. Arapahoe Community College's catalog of 200+ online courses includes many that automatically transfer to Colorado's four-year universities as part of the gtPathways program. Twenty-seven of the community college's Associate of Arts and Associate of Science degrees are designed to transfer, with scores of technical Associate of Applied Science degrees and certificates also available. Most distance education campuses are fully online, although there are some hybrid courses. The school's students have the highest salaries after attending of any public community college in Colorado. Pikes Peak Community College has 11 degrees that can be completed entirely online. Eight of the degrees are Associate of Arts degrees, in majors such as anthropology, business, and psychology. All the Associate of Arts degrees can be completed in four semesters of full-time study, and all are guaranteed to transfer to any Colorado state school, ensuring students do not lose any credits. Pikes Peak also has three Associate of Applied Science degrees, in criminal justice, accounting, and early childhood education. These programs are not guaranteed to transfer, but they might transfer to some four-year schools. The education degree is a five-semester program and the others can be completed in four semesters. Students admitted to the University of Colorado in Denver can choose from 24 degrees and 13 certificate programs that are available fully or partly online. A Bachelor of Arts (BA) in Communications has recently been added to the university's online degree offerings. BA degrees are also available in English writing and sociology. On the graduate level, master's degrees are offered in business administration (MBA), public health (MPH), criminal justice (MJC), public administration (MPA), and in engineering - geographic information systems (MEng-GIS). Master of Science (MS) degrees are available in the following fields: recording arts and media forensics, global energy management, nursing leadership and healthcare, nursing informatics, information systems, and management and organization. At the current time, the university offers four doctorate programs: Doctor of Nursing Practice (DNP), Doctor of Philosophy in Nursing (PhD), Doctor of Education (EdD), and Doctor of Pharmacy (PharmD). The School of Education and Human Development offers Master of Arts (MA) degrees in early childhood education and in information and learning technologies, as well as several certificate programs. Most traditional fees are waived for students who take their courses entirely online. Out-of-state (fully online) students pay a discounted tuition rate that is much lower than the standard non-resident tuition amount. Adams State University's Distance Learning program has several degree offerings for undergraduates and also offers master's level programs for teachers. Undergrads can earn an associate degree or a bachelor's degree in fields such as business administration or sociology, or they can earn elementary teaching licensure. Students who are already licensed teachers can gain additional credentials through ASU's online professional development courses or by completing an entirely online Master of Arts in Education. Students in the online programs can receive credit for prior learning shown through portfolio work, military training, and test results. Students accepted to the Master of Social Work (MSW) program at the Metropolitan State University of Denver have the option of taking some of their courses completely online. The program also offers several courses that follow a hybrid delivery format, which requires students to attend scheduled on-campus sessions. There are several scholarship programs available to MSW students, including the Diversity Scholarship (for under-represented ethnic or racial groups) and the Gerontology Scholarship. Each program awards two $5,000 scholarships each year. Completely online and/or hybrid courses are also offered for the Baccalaureate Registered Nurse Completion Option (BRNCO). Part-time and full-time plans of study are available for this program. MSU Denver offers several fully accredited, self-paced online (SPO) courses. SPO courses do not have fixed assignment deadlines or meeting times, and students are free to set their own schedule. SPO courses are currently offered in fields such as juvenile justice and delinquency, hospitality human resources, introduction to journalism and mass media, and oceanography. Students taking SPO courses and who are not receiving Federal financial aid are required to complete all course requirements within six months. Students who are receiving Federal financial aid must complete their studies by the end of the regular semester. The Sturm College of Law at the University of Denver offers a Master of Science in Legal Administration (MSLA) degree that can be pursued online. Students accepted to this program are required to choose an area of concentration from the following: law firm administration, court administration, or international court administration. Current or graduated Juris Doctor students may qualify for the Advanced Standing MSLA program, which can be completed with 27 (rather than 36) semester hours. All MSLA students are automatically considered for merit-based scholarships. The Executive Master of Real Estate and the Built Environment offered at the Daniels College of Business is an online program for professionals with at least seven years of work experience in the field. Students are required to attend one three-day course on-site; all other courses can be completed over the Internet. Graduate assistantships are available (tuition waiver and a small stipend), as well as need-based scholarships with awards ranging from $1,500 to $6,000 per year. The Morgridge College of Education offers a Doctor of Education (Ed.D.) degree in curriculum and instruction with specializations in three areas: curriculum studies, mathematics education, and gifted education. Master's degrees are also offered in sports coaching and geographic information science. The Community College of Denver has about 20 programs that allow students to earn a degree completely online. Most of these are Associate of Art or Associate of Science degrees where students can take the required general education courses and designate their major before transferring to a four-year school. For example, a student with an English-literature designation will take general education courses that are guaranteed to transfer to other Colorado schools and also take at least five literature courses. The college recently introduced an online Bachelor of Applied Science in Dental Hygiene, a degree-completion program for hygienists with an associate degree from an accredited school. Six career-focused certificates are also 100 percent online. The online undergraduate degrees currently being offered at the University of Colorado in Colorado Springs are in the fields of business, criminal justice, health care sciences, nursing, and sociology. These are degree completion programs. Students with 40 to 60 qualified credits can earn their bachelor's degree by completing the remainder of the program requirements online at UCCS. In addition, the university offers 14 master's programs, including a Master of Business Administration (MBA) degree with seven areas of emphasis (finance, health care administration, innovation management, international business, management, marketing, and project management). Students who are interested in pursuing an online graduate program in education can choose from the following three degrees available: Masters in Curriculum and Instruction, Master of Arts in Leadership, or Master of Arts in Teaching English to Speakers of Other Languages. UCCS also offers Master of Public Administration (MPA), Master of Engineering (MEng), Master of Science in Nursing (MSN) and Doctor of Nursing Practice (DNP) programs. Several graduate certificates are available in business, criminal justice, education, engineering, nursing, and public administration. A variety of student services, such as writing help, online bookstore and library access, financial aid, and assistance with veteran and military benefits, are available to online students. U.S. News & World Report (2015) ranks University of Northern Colorado's online graduate programs in the field of education as No. 13 in the nation. UNC currently offers 17 master's degree programs in fields such as art & design, dance education, educational psychology, science education, special education, teaching American Sign Language, and theater education. Education Specialist (EdS) degrees in educational leadership (principal licensure) and in school psychology, as well as Doctor of Education (EdD) programs in educational studies (innovation and education reform emphasis) are also available online. Doctor of Philosophy (PhD) programs are offered in higher education & student affairs leadership and in nursing. UNC also offers a Doctor of Nursing Practice (DNP) program online. New programs are continually added to the university's roster of online offerings. Recent additions include undergraduate certificates in brewing laboratory science and in arts entrepreneurship, an endorsement for teaching Chinese, and a Master of Arts (MA) in Technology, Innovation, & Pedagogy program. Additional MA degrees are available in clinical mental health counseling, educational psychology, school counseling, criminal justice, speech language pathology, and sports counseling. At the current time, UNC offers graduate certificates in the following: applied behavior analysis, geography education, teacher leadership, gerontology, and nursing education. Students who enter a community college with the intention of transferring to a four-year school often worry about whether their credits will transfer. The Community College of Aurora takes that fear away for many of its online Associate of Art and Associate of Science degrees. About 10 of these majors, from business to biology, are statewide guaranteed transfer programs, assuring students they can transfer to any state school and have all their credits accepted. The college also has several online certificate programs covering career skills such as bookkeeping, criminal justice, and early childhood education. Colorado Mountain College was listed as one of the top 150 community colleges in the U.S. during the competition for the 2015 Aspen Prize for Community College Excellence, which focuses on student completion, including graduation and transfer rates. Colorado Mountain College's online campus has programs leading to five associate degrees as well as certificate programs in early childhood education, paralegal, and health care. Many of the associate degrees are transfer degrees that allow students to get a flexible, affordable head start by completing their first two years of college online. Students can earn an associate degree or complete work for a bachelor's degree through online programs offered at Colorado Mesa University. Students who are beginning their college career can earn an Associate of Art with a social science emphasis, a program that allows them to meet the state general education core and to complete the lower division general education requirements of many universities they might choose to transfer to. Students who have an Associate of Applied Science in Radiologic Technology may enter the Bachelor of Applied Science in Radiologic Technology program where they can develop a specialization such as mammography or magnetic resonance. Registered nurses with an associate degree or diploma can complete work for their Bachelor of Science in Nursing through online classwork. Part-time nursing students can earn their degree in two years, and full-time students can finish their nursing degree in one year. Other online programs offered at CMU are Bachelor of Science in Sport Management, and Bachelor of Arts in Liberal Arts with elementary education licensure. Students seeking teaching licensure must complete a teaching internship and other field experience hours. The University of Colorado in Boulder offers a number of graduate degrees and certificate programs that can be pursued online. Students accepted to the Master of Science (MS) in Aerospace Engineering Sciences program have four areas of specialty to choose from, namely: aerospace engineering systems, astrodynamics and satellite navigation systems, bioastronautics, and remote sensing, earth and space science. The Mortenson Center in Engineering for Developing Communities is offering a new online MS program with an emphasis in engineering for developing communities. This is an interdisciplinary program that draws from various disciplines such as civil engineering, environmental studies, engineering management, and others. Additional online MS programs are offered in five other areas: computer science, electrical engineering, telecommunications, water engineering & management, and computational linguistics, analytics, search and informatics. Only the non-thesis option of the MS in Computer Science program is available online. Two other graduate degrees round off the university's online offerings on the master's level - Master of Engineering in Engineering Management and Master of Arts in Curriculum and Instruction: Math & Science Education Program. At the current time, students can pursue online certificates in the following fields: aerospace, applied Shakespeare, water engineering, sustainability, tunnel engineering, telecommunications, engineering management, and electrical engineering. Searching for a cheap, regionally accredited online program in Colorado? It can be a mission! For example, is an online associate’s degree at a community college an option? Does the COF cover distance learning? Which Colorado universities are a) good and b) affordable? What is regional accreditation? To provide you with some answers, we’ve assembled this short guide to choosing an online program in Colorado. Here you’ll find info on everything from online course catalogs and extension programs, to profiles of affordable schools, warnings about accreditation, and links to useful distance learning websites. Colorado Community Colleges (CCCOnline) is a website where brick-and-mortar community colleges in Colorado can promote their online courses and programs, including online associate degrees and certificates. CCCOnline’s catalog also includes a large selection of General Education (GE) and gateway courses that students can apply to degree or certification programs at their home community colleges. Thinking of transferring your online associate degree credits to a 4-year university? CCCOnline has an up-to-date list of Guaranteed Transfer Courses that are part of Colorado’s guaranteed transfer (gt) program. You can double-check this course list against your school’s Institutional Transfer Guide. Funded by the State of Colorado, the College Opportunity Fund (COF) provides stipends to Colorado undergraduates (in-state residents only). These COF vouchers are applied to the student’s university bill. You have to apply for and authorize the use of a COF voucher, but the good news is that you may be able to use it for distance learning programs! For example, CU has a complete list of its online undergraduate degrees that are COF eligible. Check with your individual school to see if your degree program qualifies. The Colorado Department of Higher Education (CDHE) has a section on its website devoted to Statewide Extended Studies. Here you’ll find a long list of regionally accredited Colorado universities that provide Extended Studies & Continuing Education courses and degree programs. Better yet, many of these courses are offered in distance education/online formats. Check out the FAQ for more info on enrolling, transferring credits, costs, etc. In addition to offering online degrees through its flagship campus at Fort Collins, CSU has developed a regionally accredited global campus called CSU Global. This “degree completion” school offers 100% online degrees targeted at non-traditional adult learners, working professionals, and military. It also accepts outside credit options and helps students earn alternative credit through Competency Based Exams (CPEs) and Prior Learning Assessments (PLAs). CSU Global isn’t your only choice. The trend for universities to open online campuses is happening across the nation. For example, the University of Arkansas System has a similar eVersity, which is geared toward adult learners who have some college credit (but no degree). Feel free to shop around. Colorado participates in a number of Reciprocity & Exchange Programs that allow out-of-state students to pay in-state tuition rates. Program partners include organizations like the Western Interstate Commission for Higher Education (WICHE) and schools like the Western Nebraska Community College. The CDHE even has an tuition reciprocity agreement with the New Mexico Higher Education Department—which is great news if you live in New Mexico and want to attend a Colorado school. If you live in another state and are thinking of earning an online degree in Colorado, we always recommend that you check with your school to see if their distance learning degrees qualify for exchange programs. There are often a lot of requirements that students need to meet to be eligible for in-state tuition rates. These schools made both our “Top Online” and “Most Affordable” lists. That means they meet our criteria for quality, flexibility, price, and use of financial aid money. (You’ll see a CAG Score next to their profiles in our ranking.) When you’re comparing programs, we also recommend you check the school’s graduation rate and debt load on College Scorecard. CSU Online is your one-stop-shop for CSU online degrees, online certificates, and online courses (credit, non-credit & MOOCs). You can also search for programs by subject/topic of study. On top of all this, CSU has developed a series of career-focused Digital Badges, which are awarded every time you complete an online course. Colorado residency status is not a factor when it comes to Tuition & Fees, and online students may qualify for federal financial aid. Non-traditional students should check out the section on Scholarships & Fellowships. Tuition discounts are offered to military personnel in a College of Business or College of Engineering online degree program. Check out the FAQS section for more advice. Wondering about reputation? CSU does well in all U.S. News & World Report online rankings and it’s often in the top 25 of Best Online Bachelor’s Programs. Engineering and IT are two other strengths. The first place to go is UCCSConnect. Here you can search for online programs and courses, and learn more about actual costs. The Cost of Attendance section explains your options, including payment plans, employer reimbursement, and military tuition assistance. The Office of Financial Aid has further information. In addition to developing conventional online degrees, UCCS has been exploring ways to increase its Academic Outreach. It has High School Programs where students can earn college credit; a Weekend University with hybrid courses; non-credit continuing education courses offered online through Ed2Go; and professional development programs. It’s also worth noting that UCCS receives respectable U.S. News & World Report’s online rankings. If you’re considering CU, start with CU Online. It details each online program available through CU Denver and CU Anschulz, and it provides a list of COF-eligible undergraduate degrees. It also has a substantial Financial Aid section for online learners. You’ve found a college. You like their online degree options. It’s time to check accreditation. Wherever you decide to go, be sure your online university or college is fully accredited by an organization recognized by the U.S. Department of Education. Some distance learning institutions only have national accreditation. However, regional accreditation is considered the highest standard, and it’s very important if you’re thinking of transferring credits from school to school. The Higher Learning Commission (HLC), which used to be called the North Central Association of Colleges and Schools, issues regional accreditation to Colorado universities and community colleges. You can do a similar check for regional or national accreditation status using the Council for Higher Education Accreditation (CHEA) Database. And we discuss some of Colorado’s online schools with accreditation issues below. ASU is regionally accredited. However, in 2016, the Higher Learning Commission (HLC) put the school on Probation for two years, citing concerns related to the integrity and quality of the ASU’s online offerings. These concerns included a lack of interaction with online students and a very high student faculty ratio. ASU disputed the claims. College Scorecard also reports that the school has low graduation rates. Charis Bible College is a two-year ministry training college that does not appear in College Scorecard or the CHEA Database. It holds no recognized national or regional accreditations. PBU is an online Bible correspondence college that only issues religious degrees. It does not appear in College Scorecard or the CHEA Database, and it holds no recognized national or regional accreditations. University of the Rockies is regionally accredited by the HLC, but the doctoral program in Clinical Psychology is not accredited by the American Psychological Association (APA) or registered with the Association of State and Provincial Psychology Boards (ASPPB). The University is run as a for-profit school by Bridgepoint Education, Inc.
University of Phoenix is a for-profit institution headquartered in Arizona. According to the CHEA Database, it is regionally accredited by the HLC. However, the school has been subject to a number of lawsuits regarding recruitment practices. College Scorecard reports that the Lone Tree campus has a low graduation rate and a low number of students who return after the first year. Higher Learning Commission (HLC): HLC is the regional accrediting body for community colleges & universities in Colorado (and a number of other Western states). You can use the directory to search for HLC-accredited institutions by state. Colorado Cyberschools Association (CCA) and the Colorado Coalition of Cyberschool Families (CCCF): These two organizations are focused on K-12 cyberschools and K-12 online learning in Colorado. One of their major goals is to improve access for Colorado families to online programs. Colorado Distance Learning Association (ColoDLA): ColoDLA is a non-profit organization promoting the development and application of distance learning across Colorado. It focuses on best practices and technology in K-12, higher education, military training, corporate education, and other important fields. As well as organizing regular meetings, it hosts an annual distance learning conference and gives out awards for distance teaching. Colorado Community Colleges Online (CCCOnline): CCCOnline provides a convenient catalog of all of Colorado’s online community college courses and programs, including associate degrees and certificates. Colorado Department of Higher Education (CDHE) Statewide Extended Studies: The CDHE has posted a list of regionally accredited Colorado universities that provide Extended Studies & Continuing Education courses and degree programs. Many of these courses are offered in a variety of distance education formats. Check out the FAQ for more info on applying, transferring credits, accreditation, etc.